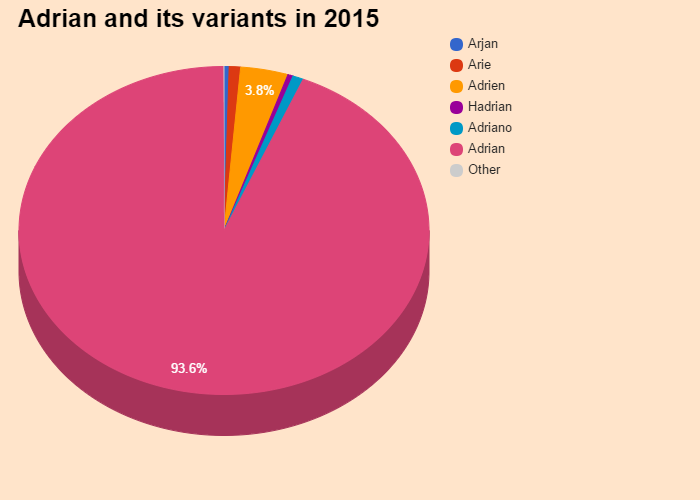 Adrian was ranked 58 in 2015 US male names list and elevated by 1.69% from its previous ranking of 59 in 2014. Adrian was ranked 886 in 2015 list of US girls name and dropped by 3.87% from its previous ranking of 853 in 2014. Anglo-Saxon form of Adrien. Comes from the Latin "Adria" city that gave its name to the Adriatic Sea. Is celebrated on September 8.. On looking rather haughty and severe,Adrianare beings of strong temperament. Adrian are not wild, but like to keep their distance. Sure of themselves, ambitious, hardworking, nothing stops them whenAdrianset a goal. Adrian have the taste of power and responsibility. Men belief,Adrianfiercely defend their interests. Adrian is a rare first name for a girl in England & Wales which is a rare name since 2008 and ranked 237 in 2014. Only 3340 people have Adrian as their first name. Adrian is a very consistent name over the past 18 years. 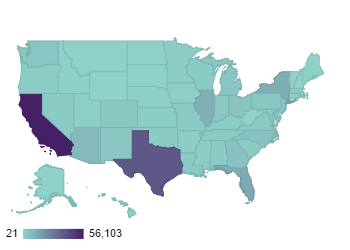 Adrian is a very very popular first name for a boy in United States which is popular since 1918 and ranked 58 (0.163782% bearer) in 2015 in US. Around 233526 people wear Adrian as their first name. Adrian is a rare first name for a boy in United States which is a rare name since 1880 and ranked 58 (0.163782% bearer) in 2015 in US. Only 233526 people have Adrian as their first name. Adrian is not a native United States and Adrian may be came from another language or is a short form of some other name. 0.065325% of people in US have this given name. Officien pagan at the imperial court of Nicomedia, Adrien was in charge of keeping prisoners Christians during the persecutions of the Emperor Diocletian in the fourth century. With his sister Nathalie, it leaves catechized by them and request baptism. They were both martyred in 304. Adrien is the patron of soldiers and butchers. A basilica dedicated to him in Rome. Expression number of Adrian is 11. Adrian have high energy levels, just like a child. Adrian are highly sensitive and possess a high sense of awareness. Adrian are gifted with a sixth-sense, in addition to discerning and inspiring qualities. Adrian Edmonson Adrian Edmondson, British actor, comedian, director and writer who gained fame as Vyvyan in The Young Ones in the early 1980s. Get the meaning of Adrian and celebrities who also shares the same name and some names related to Adrian, english baby names list, list of names in english. Know what does Adrian mean? This website serves as the extended english names list which will help in naming your child.